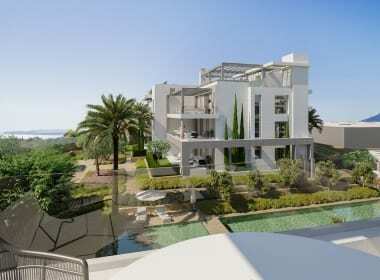 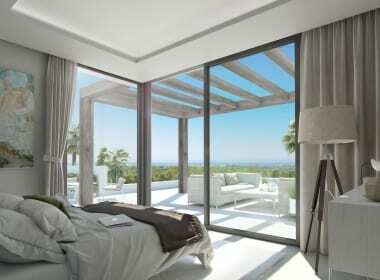 Do you want to buy a modern new apartment with sea views within walking distance of the village of Cancelada? 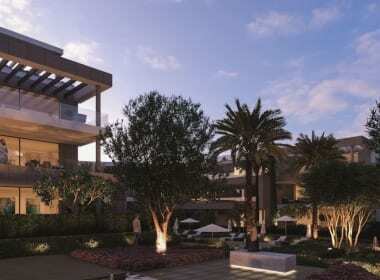 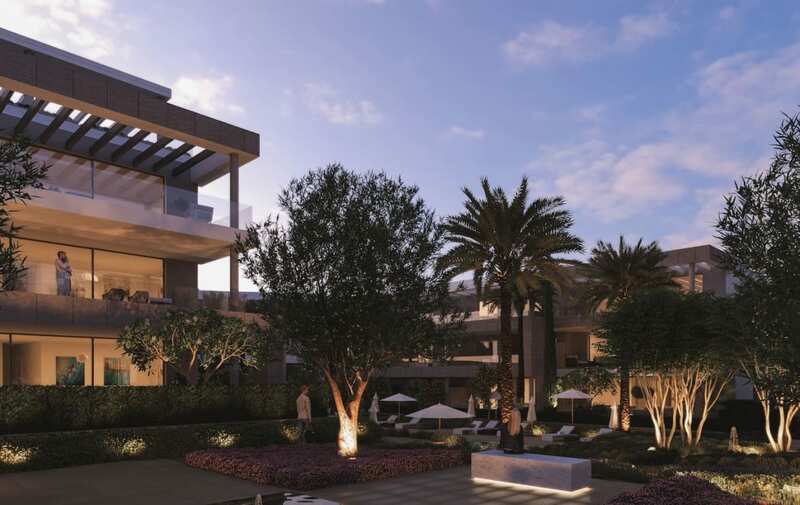 This new project SyZyGy The Residences on The New Golden Mile must be added to your shortlist. 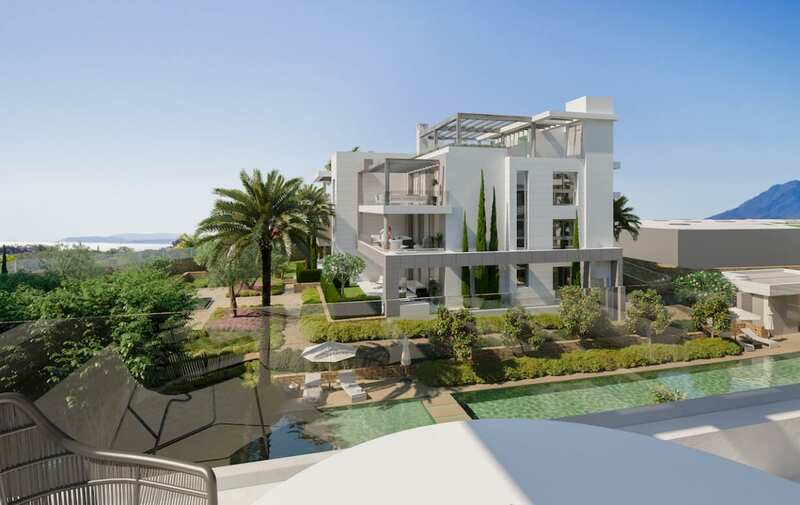 From the sleek, modern architectural design of this secure complex to the tasteful environment, the apartments and penthouses in SyZyGy The Residences have been created to live quality in a beautiful natural region close to the very best the Costa del Sol has to offer. 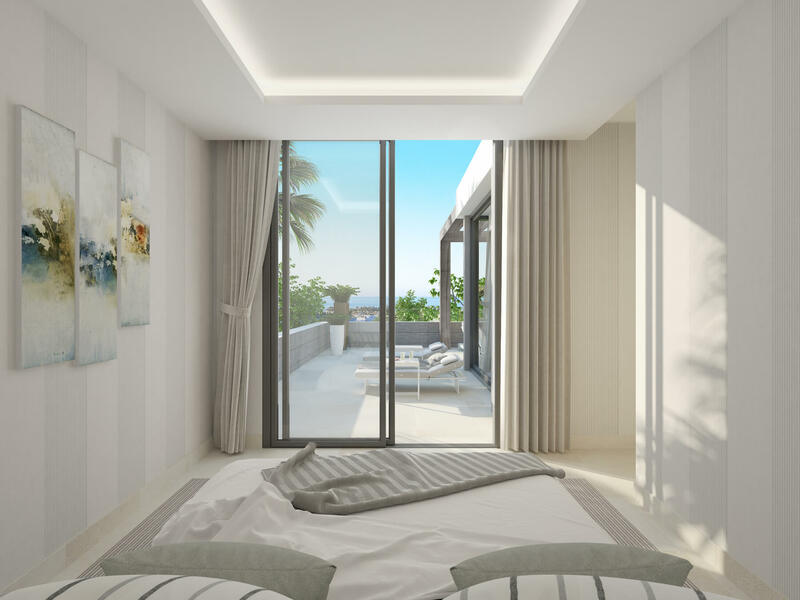 SyZyGy The Residences is surrounded by 4,000 m2 of carefully landscaped gardens and has two swimming pools – one of which is designed as a beach with an elegant panoramic chill-out lounge on the roof, complete with luxurious Balinese beds. 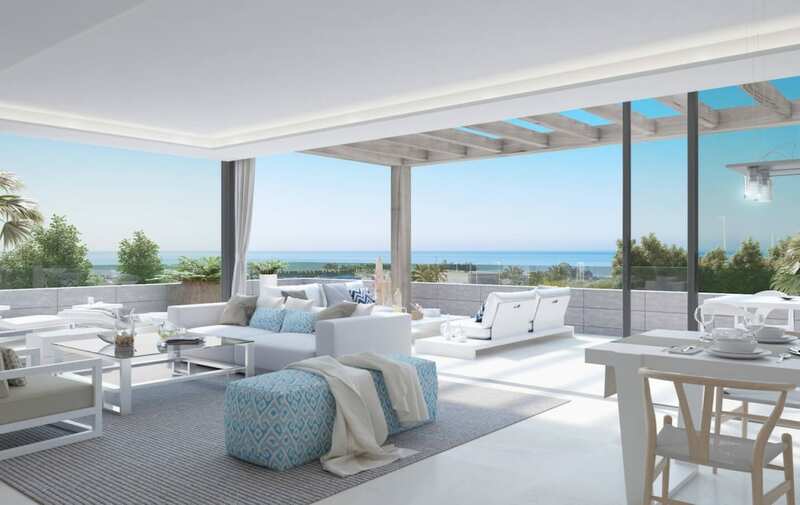 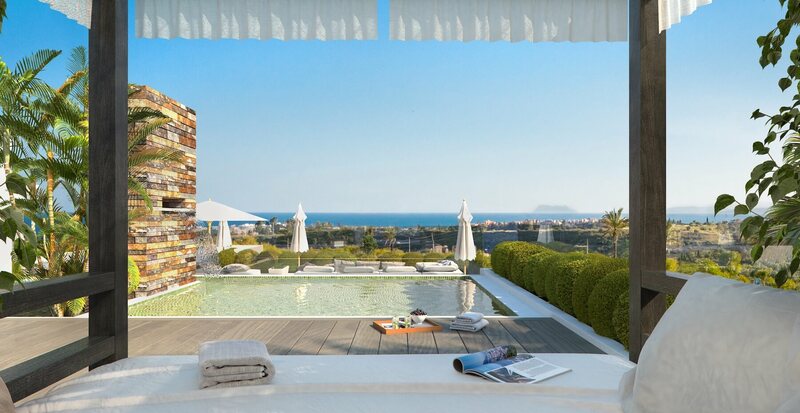 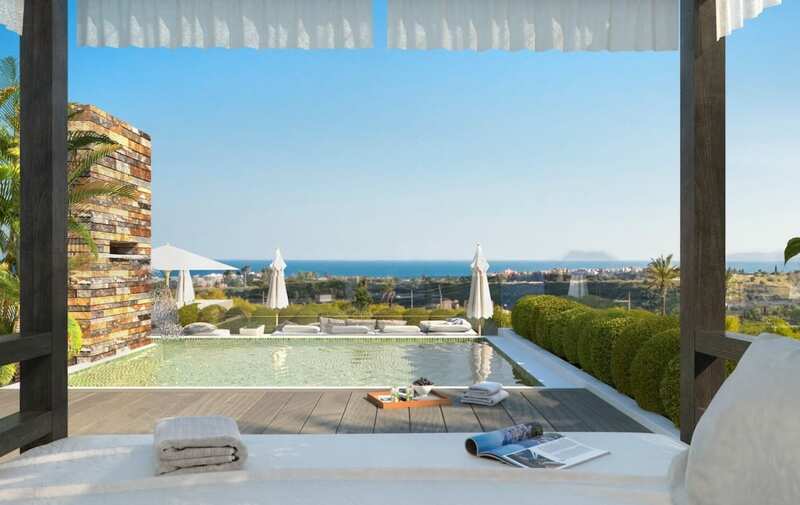 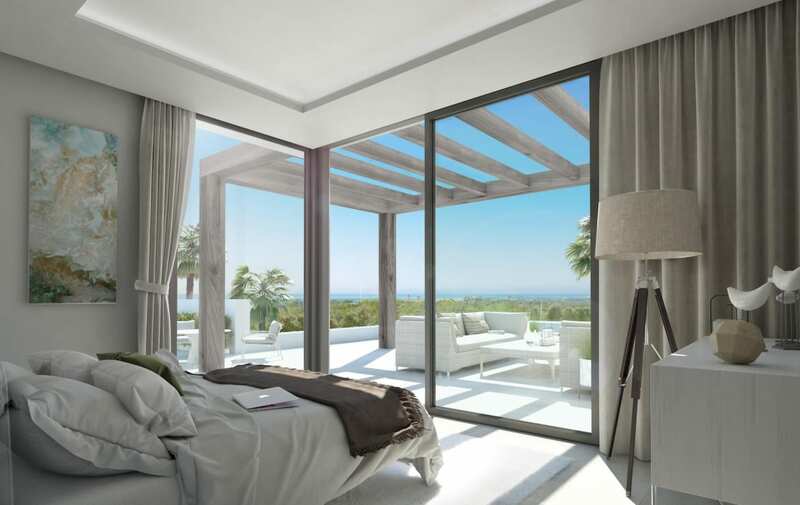 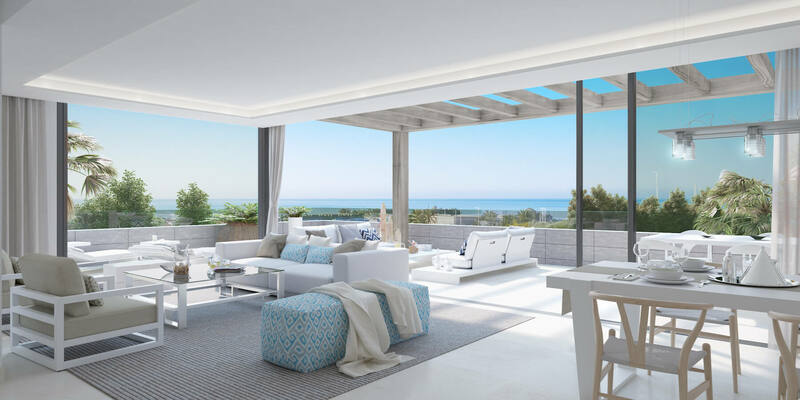 From here the views over the surrounding greenery stretch along the undulating beaches of the New Golden Mile to the La Concha mountain in Marbella and the African coast. 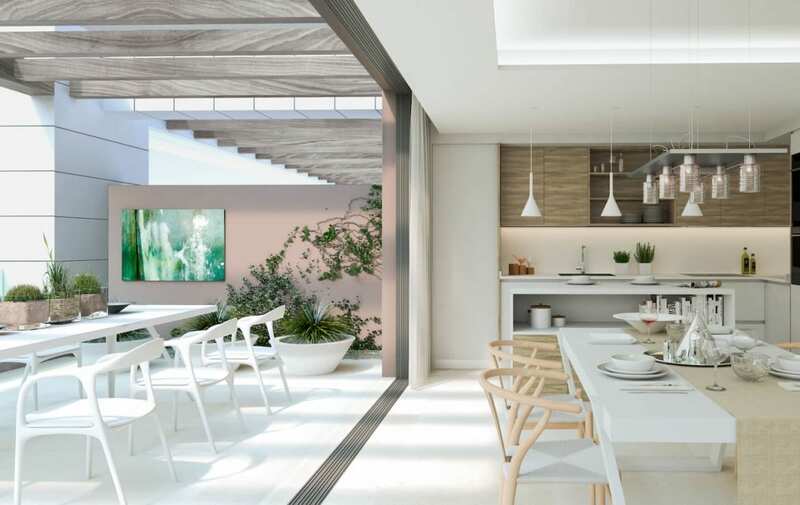 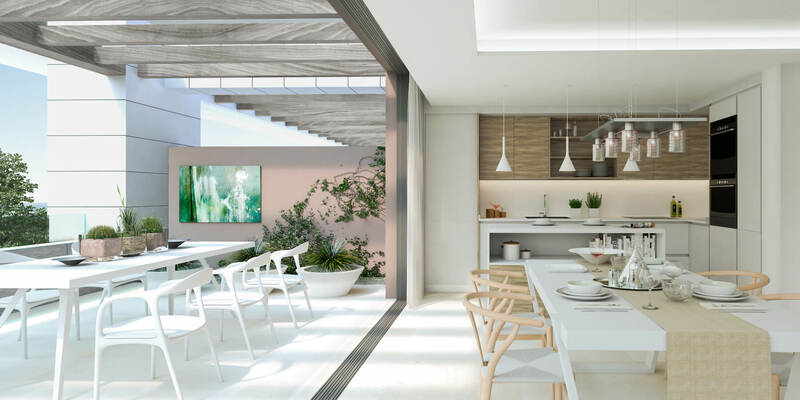 The houses have an open-plan layout that connects the living room and kitchen with the terrace. 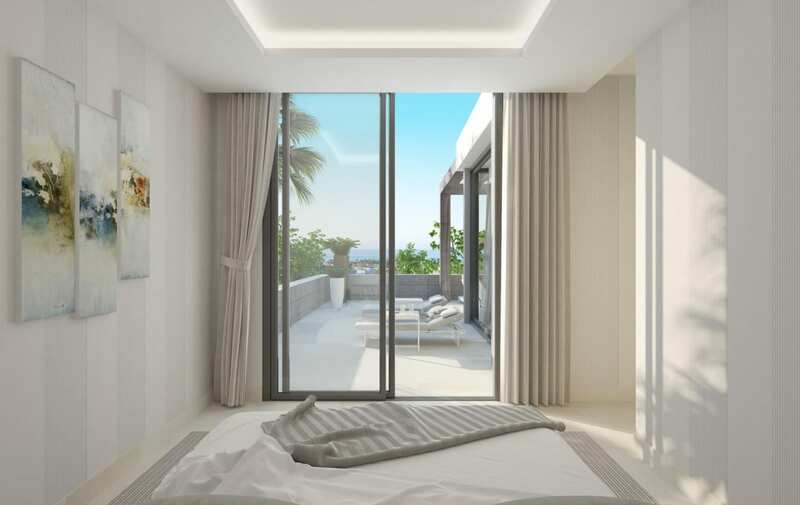 Designed to maximize natural light and view, the apartments and penthouses are equipped with quality windows and sliding doors that are soundproof and sun-resistant. 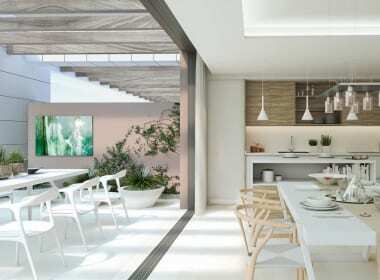 Doors, cabinets, floors, bathrooms, and kitchens combine a refined modern style with easy maintenance.